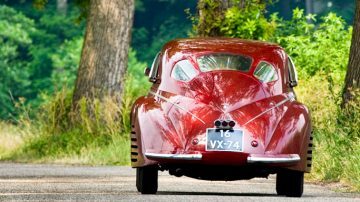 A 1939 Alfa Romeo 8C 2900B Touring Berlinetta, estimate €16 – 22 million, is the headline car for the Artcurial Paris Rétromobile 2019 sale. 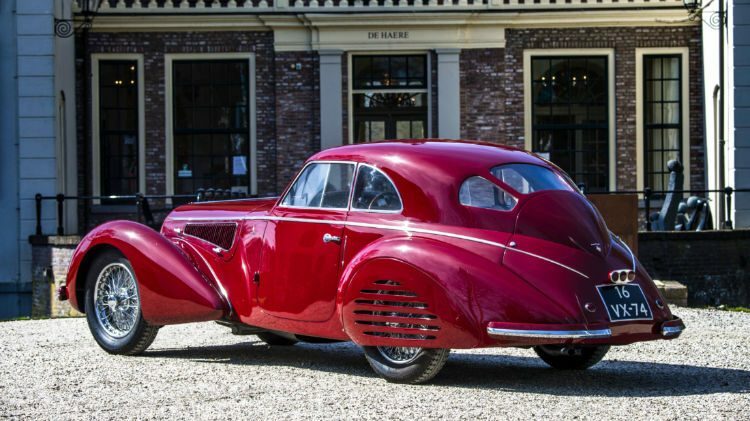 A rare 1939 Alfa Romeo 8C 2900B Touring Berlinetta is likely to be the most-expensive car offered at the Artcurial Paris Rétromobile 2019 classic car auction. The car with a known ownership history from new, including single-family ownership for the last four decades, may set a new Alfa Romeo marque record if it sells within the estimate of €16 to €22 million ($18.6 to $25.6 million). Artcurial’s annual classic car auction during the Paris Rétromobile week will be held on Friday 8 February 2019. 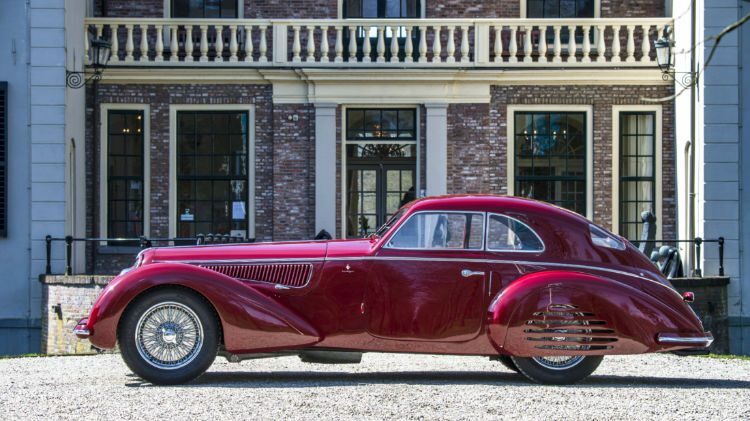 Full details of the 1939 Alfa Romeo 8C 2900B Touring Berlinetta, chassis #412024, have not been released yet but Artcurial claims it comes with transparent history, which is in contrast to the last 2900B sold at auction (see below). The 1939 Alfa Romeo 8C 2900B Touring Berlinetta was delivered new in Italy in 1939, but was transported to England later that year, where it was owned by just four collectors. 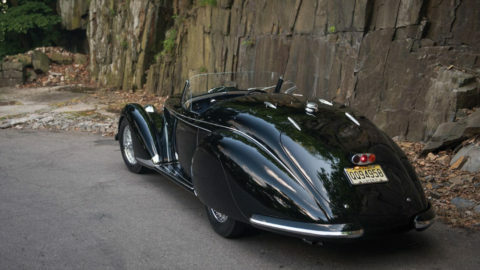 In 1976, the father of the current owner, a great enthusiast of sports cars and beautiful coachwork, acquired this car. His son was present on the day he bought it, some 42 years ago. This masterpiece of a bygone era has remained in his possession ever since. Alfa Romeo was one of very few pre-war manufacturers that could compete with the power of the big German constructors. Having won all the most important races, the firm decided to share this success with its private customers by creating road-going versions of its competition cars. 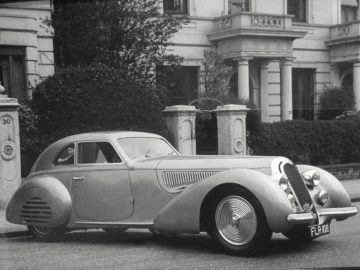 This is what happened with the Alfa 8C. Some thirty 2.9-litre chassis were built, fitted with spider or berlinetta bodies, on both long and short chassis, and equipped with competition engines. Just five examples of the berlinetta version were built by the Italian coachbuilder Touring, who created what was undoubtedly one of the most charismatic and flamboyant versions of the model. According to Artcurial, this uniquely elegant and sporting motorcar has become an absolute masterpiece in automobile history, its exclusivity placing it on a par with a Leonardo da Vinci painting. It is considered a part of the Automobile Aristocracy. 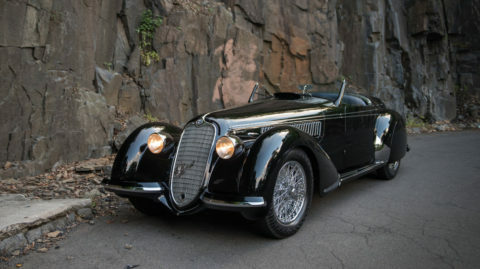 With only around 32 Alfa Romeo 8C 2900B cars produced in all versions, these automobiles are not surprisingly rarely offered at auction. The last one to have sold at auction was a 1939 Alfa Romeo 8C 2900B Lungo Spider that set a new marque record when achieving $19,800,000 at the RM Sotheby’s Monterey 2016 sale. At the time of sale, this was the highest price ever paid for a pre-war car – a record increased to $22 million by the 1935 Duesenberg SSJ that sold for $22 million at Gooding Pebble Beach 2018. The record Alfa Romeo was one of 12 with Touring Spider bodies but one of only seven with this body style on the longer chassis. The elegance of this coachwork apparently allowed buyers to overlook it less than perfect history and modifications. It became the first and (thus far) also the only Alfa Romeo to ever have sold for more than $10 million. 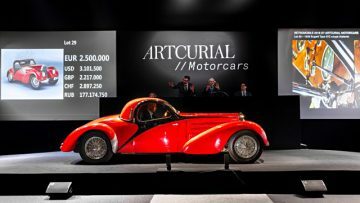 The situation in Europe, and for other marques, is unlikely to be much rosier but then again Artcurial has a knack for surprises at the Rétromobile auctions. As often, Artcurial’s estimate is both optimistic and wide making it unclear what the actual reserve price is likely to be.